Due to popular demand all Sharp Eye models can be custom ordered in e2 – epoxyeye. e2 Tech has unparalleled resistance and return to static due to our strategically placed combination of carbon and quad axis composites. 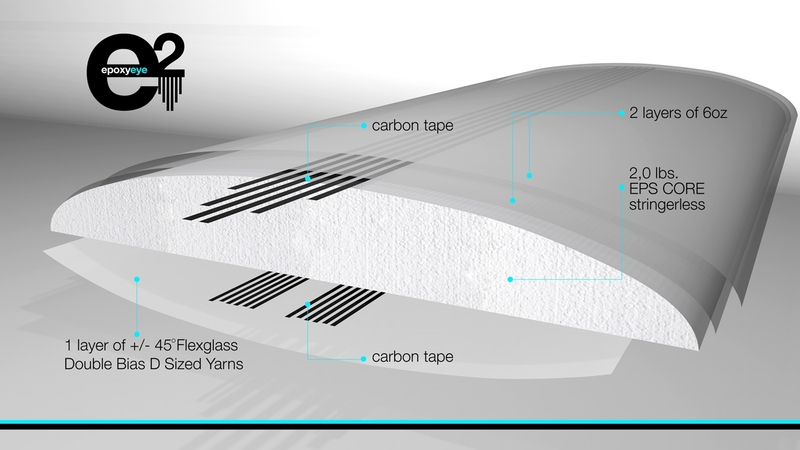 All elements giving the product unparalleled stress resistance and longer “pop” than traditional PU construction. The Sharp Eye e2 Epoxyeye construction is available across our entire range. Grab your board in this exclusive new tech today.